WASHINGTON — Virtual health, also called telemedicine, is currently being used across 18 time zones, in 30 countries, and supporting more than 20 clinical specialties. Immediately following the 2009 and 2014 shootings at Fort Hood, Texas, the Army's virtual health care was there, linking the survivors with behavioral health care providers "from Hawaii, D.C. and San Antonio," said Dr. Colleen Rye, Chief of Army Virtual Health, Office of the Army Surgeon General, at an Association of the United States Army Medical Readiness panel recently. A virtual health pilot is now underway in U.S. Africa Command, where "tyranny of distance" means that the only medical service providers available on site are the medics and telemedicine, she said. 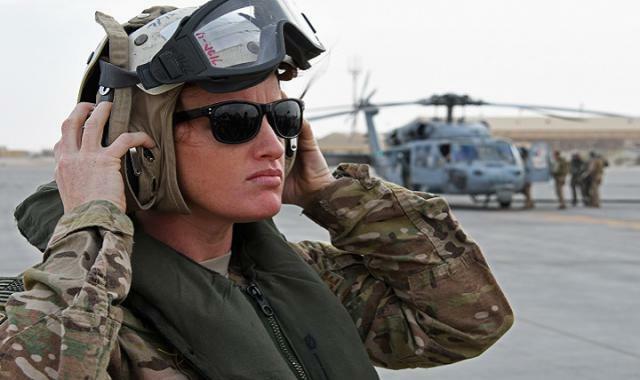 Another virtual health pilot is being conducted with Special Forces, she said. In the example of Special Forces, telehealth takes the form of a James Bond-type suitcase, which is filled with medical gadgetry instead of spy gear designed by Q. Open it and "out pops a tablet computer, a device to connect to satellites and a whole array of peripherals, from otoscopes and stethoscopes to ultrasound cameras and ophthalmoscopes," Rye said. With this equipment, health specialists can literally, "hear your heartbeat from 3,000 miles away," Rye said. In other words, a medic could connect a patient at the point of injury to a specialist in another apart of the world, who could then provide the medic with detailed instructions on how to save the Soldier's life. The specialist at the other end could be a cardiologist, hematologist, orthopedist, pulmonologist – whatever kind is needed. WHY IS VIRTUAL HEALTH CARE SO IMPORTANT? Future combat will probably not look like it does in Iraq and Afghanistan, Rye said. Rather, the battlespace may be contested to such a degree that medevacs may be impossible and field hospitals, much less forward operating bases, may not be located nearby. "[The] virtual hand will be reaching out, guiding medics through what they need right at the point of injury," she said. 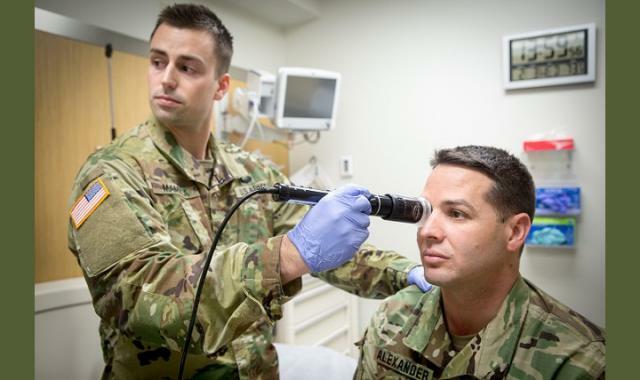 Army medicine is currently building a global teleconsultation portal to provide virtual care through a vast network of health service providers. "The sun will never set on us" when it comes to providing care virtually anywhere and at any time, Rye said. The Navy was thrilled by the promise of the Army's virtual health system, Rye said. They're now paying the Army to build identical systems on 67 Navy ships. All of the new gadgetry was produced in Army laboratories, Rye said. Civilian medical facilities around the world are now using Army-produced technology, from telestroke to remote health monitoring. FALLS CHURCH, Va. (NNS) -- The U.S. Navy's top doctor announced new strategic priorities for Navy Medicine, Nov. 15. Vice Adm. Forrest Faison, Navy surgeon general and chief, Bureau of Medicine and Surgery (BUMED), presented the new mission, vision, principles and priorities for Navy Medicine, with rapid change being the driving force. "The world in which we operate is constantly changing," said Faison. "Our success depends on how well we adapt to those changes and continue to honor the trust placed in our hands every day to care for America's sons and daughters." The Navy Medicine mission is keeping the Navy and Marine Corps family ready, healthy and on the job. "My vision for the Navy and Marine Corps family is to have the best readiness and health in the world and that we provide the best care our nation can offer, whenever and wherever needed," Faison said. Faison's strategy introduces new principles to guide Navy Medicine personnel as they work to accomplish the new mission and vision. "Each principle requires active engagement of everyone in Navy Medicine, from the most junior Corpsmen, to our most senior flag officers," said Faison. The strategy commits Navy Medicine to the following principles: honor the trust to care for America's sons and daughters, honor the uniform we wear and honor the privilege of leadership. "The tradition of caring, compassion, hope and resolve is a Navy Medicine hallmark that our team will continue to carry on," said Faison. Readiness, health and partnerships are the new Navy Medicine priorities. "These three pillars are the foundation to the changes to come within the enterprise," Faison said. Readiness: We save lives wherever our forces operate - at and from the sea. The skills and capabilities of our medical teams are vital to operation. Navy Medicine will ensure that its people are trained and prepared to save lives at sea, above the sea, below the sea and ashore. Health: We will provide the best care our nation can offer to Sailors, Marines, and their families to keep them healthy, ready and on the job. Convenience, experience of care and technology drive the health care decisions of many patients today. Navy Medicine's main focus is on providing patients with the best possible care and in ways acceptable to them. Partnerships: We will expand and strengthen our partnerships to maximize readiness and health. Collaboration is critical in meeting the needs of the patient. Navy Medicine will strengthen its partnerships through incorporation of research, principles and practices of its operational colleagues. "American families across the globe trust us with the health and well-being of their loved ones. This strategy is our guide as we chart the course ahead to better serve our Navy and Marine Corps team," said Faison. Navy Medicine is a global health care network of 63,000 personnel that provide health care support to the U.S. Navy, Marine Corps, their families and veterans in high operational tempo environments, at expeditionary medical facilities, medical treatment facilities, hospitals, clinics, hospital ships and research units around the world. 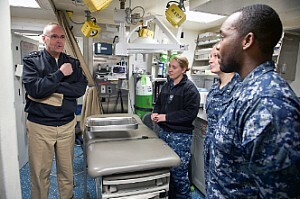 For more news from Navy Medicine, visit www.navy.mil/local/mednews/. The relationship among the medical components of the military services and the Defense Health Agency (DHA) comes down to one driving factor: support. Bono spoke before approximately 400 Air Force Medical Service senior leaders during an annual workshop in Leesburg, Virginia, Nov. 15. She said in an operating room near the battlefield, unless you can see their boots, no one knows, and, really, no one cares what service the doctor comes from. Bono said DHA is in the thick of executing policies from the top Department of Defense levels and taking care of the warfighters, along with all the services. That’s why she’s made fortifying the relationship with the services one of her top priorities. 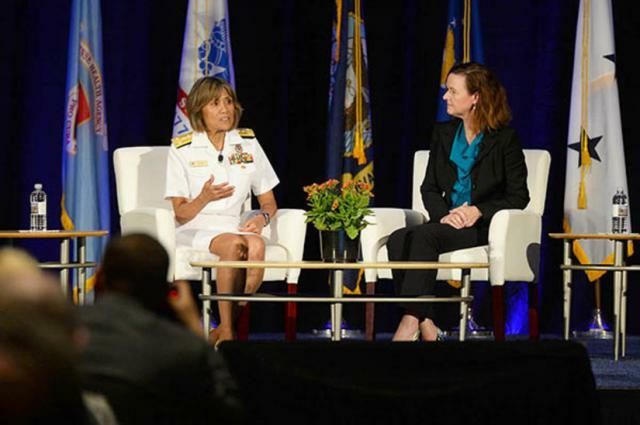 Finally, the admiral pointed to changes in managing TRICARE worldwide and the implementation of a new modernized and interoperable electronic health record, MHS GENESIS, as some of the ways DHA is streamlining operations. Upgrading the system of benefits and improving the ways records are shared electronically also helps keep doctors and nurses current and competent on their skills. Posted: Sun 1 Jan - 04:49 (2017) Post subject: MICROCHIP WORLDWIDE! THEY’RE PLANNING TO MICROCHIP US ALL! WAIT UNTIL YOU SEE HOW ! MICROCHIP WORLDWIDE! THEY’RE PLANNING TO MICROCHIP US ALL! WAIT UNTIL YOU SEE HOW ! On Thursday, December 8th, 2016, the House passed yet another cryptic bill indeed — this one entitled H.R. 4919, also known as Kevin and Avonte's Law of 2016. In this bill, the U.S. attorney general is allowed to award grants to law enforcement for the creation and operation of “locative tracking technology programs.” The bill would also require the attorney general to work with the secretary of health and human services and unnamed health organizations to establish the “best practices” for the use of tracking devices. Although the program’s mission is to find “individuals with forms of dementia or children with developmental disabilities who have wandered from safe environments,” the tracking program can be extended to other individuals, and even requires the inclusion of state, local, and national law enforcement agencies and health agencies. Not to mention how in December 2016, Israel has announced the requirement of a biometric database and fingerprinting for all Israeli IDs. And, with microchips, biometrics, and national/international IDs pushed by organizations such as the U.N., FBI, DHS, and many other Alphabet Soups, one has to wonder: What Is The REAL Purpose Behind All This?!?! SEE THE AGENDA AHEAD OF TIME! AND PLEASE SEEK YAHUAH AND HIS TRUE SON YAHUSHA — WHILE THEY CAN STILL BE FOUND!!!!!!! HMS OCEAN, Persian Gulf — Over the course of five days, medical personnel from the 379th Expeditionary Medical Operations Squadron and Royal Navy worked together to test their capabilities during coalition exercise Azraq Serpent, recently. In a joint effort between U.S. Central Command components, the United Kingdom Maritime Component Command and Commander Task Force 50, the purpose of the exercise was to demonstrate and evaluate the ability of joint medical assets to establish and integrate damage control surgery onboard coalition vessels. To meet these ends, teams of medical specialists cooperated to complete several objectives throughout the exercise which took place onboard the HMS Ocean, the Royal Navy’s flagship. The exercise pitted the MFST-ECCT with a plethora of difficulties, including working onboard an unfamiliar coalition vessel, and operating with a coalition medical team they had never worked with. While onboard, the MFST-ECCT personnel integrated with Royal Navy medical personnel, requiring the teams to collaborate and assess their combined capabilities. Following familiarization, the teams went to work. Various casualty drills were completed involving an array of injuries and scenarios that would change at a moment’s notice to keep the teams on their toes. Through the various situations the teams encountered, both the MFST-ECCT and Royal Navy personnel were able to test their capabilities, look at where things went well, and find areas that they needed to improve. "Our objective was to explore the viability of integrating the U.S. Air Force role two medical capability with the ships-based role one capability to determine feasibility of this type of platform in the future," said Air Force Lt. Col. Neva VanDerSchaegan, the Medical Operations Director for U.S. Special Operations Command Central Forward Headquarters. "I am pleased to say it was very successful." By sharing skills, knowledge and personnel, the teams were able to learn together and build relationships, showing that the coalition partners will be ready should the need arise. WASHINGTON — The Defense Department’s newly modernized electronic health record system was recognized as successful after a week-long deployment at Fairchild Air Force Base in Spokane, Washington, officials there said Feb. 15, 2017. MHS GENESIS enables a team approach in providing health services to patients, said Air Force Surgeon General Lt. Gen. (Dr.) Mark A. Ediger. Initial feedback from health care providers at Fairchild is positive, said Stacy Cummings, program executive officer of Defense Healthcare Management Systems. The cutting-edge technology gives patients and health care providers a continuum of care and allows the Department of Veterans Affairs and private-sector health care partners the necessary data to collaborate and make the best possible health care decisions, Cummings said. MHS GENESIS maintains electronic health record interoperability with VA medical facilities through the use of Joint Legacy Viewer, she noted. “We have integrated MHS GENESIS to be a tool that will continue to allow us to share data with VA and our commercial health care providers who are our partners,” she said. The TRICARE military health system’s patient portal has been redesigned to allow for access to MHS GENESIS by patients and health care providers, officials said, adding that patient safety and the security of data is paramount in the new streamlined and intuitive system. “We have a responsibility to provide the best possible user experience to our beneficiaries, and … we delivered on that responsibility,” Cummings said. In the next year, MHS GENESIS will deploy at three other military medical facilities in Washington state: Naval Hospital Bremerton in Bremerton; Madigan Army Medical Center in Tacoma and Naval Hospital Oak Harbor in Oak Harbor. TRUJILLO, Honduras (NNS) -- Continuing Promise 2017 (CP-17) will participate in the advanced testing phase of a web-based tool which will assist in the development of future cooperative health engagement (CHE) missions. CP-17 is tasked with assisting the Office of the Chief of Naval Operations (OPNAV) in building and testing the Web-based Mission Analysis and Assessment Reporting System (Web-MAARS), a web-enabled program which will enhance CHE mission planning, execution, and assessment processes. "Web-MAARS originally was not a web-based program, but a database that we could use to capture from missions what is successful and gather the requirements for a successful engagement for us and the host nation," said Capt. Christine Sears, 4th Fleet surgeon and commanding officer of the CP-15 Military Treatment Facility. Sears said the unique change with the development of Web-MAARS is the ease of accessibility and delivery. "The difference is taking something from a standalone database, being able to only share between different laptops or desktops, and converting that over to a web-based tool using assessments created during CP-17," she said. "So in the future, teams in the Pacific can see what we've done here in Central [and] South America and the Caribbean. In case of a contingency, teams worldwide can look up previous missions and be better able to plan missions." The program has a goal to provide CHE stakeholders with the tools, templates, and data for improving missions over time, establishing the value and effectiveness of each mission, said Dr. SaWan Young, a senior health care, policy and program analyst, and Web-MAARS team member. "We are gathering user requirements and building the system during CP-17 to be operationally ready for use for similar missions in the future," said Young. "The plan is to provide planners and mission personnel with a tool that enables them to effectively plan, execute, and assess all aspects of the CHE mission." Lt. Cmdr. Amy Zaycek, CP-17's assessment officer in charge, will take lead in organizing and packaging the data collected from all aspects of the mission to aid in the development of the program. Sears said Zaycek will be responsible for a new phase added to the CP mission. Trained in international global health assessments and evaluations, Zaycek has the task of interpreting all of the data and giving it meaning in relation to global health. "Team leads fill out assessment forms every day to create a report after every event," said Zaycek. "I will be working with the Destroyer Squadron (DESRON) 40 staff to complete assessments for the overall mission from the Web-MAARS perspective and the cooperative health engagement mission that will provide long-term accountability for future missions." This data will validate the prototypes which form the requirements and user specifications being built into the Web-MAARS system. Young said commands will be able to use the system to develop a humanitarian assistance or disaster relief plan from start to finish. "It will have the capability to provide planners with a list of specific personnel for planned events, which can be used to create the Request for Forces (RFF). It will also have the capability to provide a list of equipment that can be used by planners to request items they need for a mission," said Young. Young added the most exciting development of the program is the ability to create and utilize a mission event schedule based on and driven by the mission's scheme of maneuver. "Web-MAARS provides planners with an event planning form, which will aid mission staff to plan all aspects of the event from personnel, equipment, and logistics to event itineraries," said Young. "Everything planners and mission personnel need for planning medical mission events will be available in Web-MAARS." The expansions of the program will lead to future advancements in humanitarian assistance and disaster relief response or aid. "By improving the definition and planning of medical events within each host nation, Web-MAARS will be able to identify and capture the strategic and operational effects of its activities to capture mission-event data at a level that will allow for significant and meaningful improvements in the execution of events over time," said Young. Sears said CP-17 will also serve as a platform to help the Navy analyze the deployment of medical sites ashore using an expeditionary fast transport ship. Web-MAARS is expected to be operational by next year. For more news from U.S. Naval Forces Southern Command & U.S. 4th Fleet, visit http://www.navy.mil/local/cusns/. Posted: Sat 18 Mar - 00:59 (2017) Post subject: UN-AMERICAN HEALTHCARE ACT? Force vaccination : Is the pandemy will come from the polio vaccine? The UN Children's Fund (UNICEF)-UN World Health Organization (WHO)-World Bank supported campaign was launched in February and saw thousands of health workers, health educators, religious leaders and local council officials mobilize their communities to maximize the campaign's reach, including in high-risk groups, such as internally displaced persons and refugees. ROTA, Spain (NNS) -- The Navy Environmental and Preventive Medicine Unit (NEPMU) 7 announced a new collaborative global health effort with the United States Africa Command (USAFRICOM) April 10. As part of that effort, NEPMU-7 successfully deployed their Preventive Medicine Officer (PMO) and senior Preventive Medicine Technician (PMT) to Ghana in support of the Africa Malaria Task Force (AMTF) Malaria Diagnostic Symposium, Feb. 25 - March 9. AMTF is a tri-service effort that brings together military medical personnel from 15 countries across East and West Africa. The symposium is a two-week knowledge exchange, conducted at the Kofi Annan International Peacekeeping Training Centre in Accra, Ghana. Participants at this event included military clinicians , laboratory officers and technicians, and pharmacists from the following countries: Benin, Burkina Faso, Cote d'Ivoire, Ghana, Guinea, Liberia, Niger, Senegal, Sierra Leone, Togo, Burundi, Djibouti, Kenya, South Sudan and Uganda. Lt. Cmdr. Jason Rice, NEPMU-7 PMO and Chief Hospital Corpsman Daniel Hosaka, NEPMU-7 PMT served as facilitators for 35 military and military-affiliated participants from East and West African countries where the malaria burden remains high. The overarching goals of the AMTF training events are to provide expertise to military medical representatives so they can return to their respective countries and disseminate knowledge via training and mentorship. These events are also intended to strengthen communication between laboratory technicians and clinicians to expand effective malaria programs in this region. "Chief Hosaka and I are honored to have had been chosen to participate in such an incredibly valuable event, in support of AFRICOM's ongoing effort to reduce the burden of malaria in the region; and also for the opportunity to partner with such a skilled team of US DoD and Ghanaian experts," said Rice. "We were very encouraged by the class' interest in epidemiology, and the in-depth discussions that stemmed from the lectures. We look forward to furthering this Epi training and NEPMU-7's involvement with future AMTF events." NEPMU-7 was hand-selected to provide additional training in the field of epidemiology in an effort to expand the AMTF focus to include malaria surveillance programs. Their training also provided the participants with valuable tools to combat a variety of other infectious diseases. Hosaka and Rice delivered bilingual interactive trainings on topics of Basic epidemiology, descriptive and analytic epidemiology, study design, and infectious disease epidemiology, surveillance and outbreak investigations. "It is nice to see all these African Nations come together in one place to better educate themselves on the diagnostics of malaria," said Hosaka. "With the knowledge gained during this symposium, the students can educate others in not just malaria diagnostics but basic fundamentals of epidemiology helping to combat not just malaria but any other disease they might come in contact with during an outbreak investigation." Upon completion, graduates were provided with digital reference material and hard copy binders of all presentations, to facilitate training and quality assurance in their home countries. Additionally, graduates were awarded certificates of training completion, presented by Col. George Appenzeller, U.S. Air Force, USAFRICOM Command Surgeon. NEMPU-7, located in Rota, Spain, provides theatre-wide preventive medicine support to Navy and Marine Corps forces and joint and combined military operations throughout Europe, Africa and the Middle East. Whether it's a request for information or a request for forces, the team's highly skilled and trained professionals are always ready. For more news from Navy and Marine Corps Public Health Center, visit www.navy.mil/local/nmcphc/. BREMERTON, Wash. (NNS) -- A symbolic switch was thrown at 7 a.m. as the Department of Defense's (DoD) new electronic health record (EHR), MHS GENESIS, deployed at Naval Hospital Bremerton (NHB), Sept. 23. The deployment of MHS GENESIS culminated months of extensive preparation and intensive training at NHB to keep pace with medical advances and innovations in technology, and enhance the high quality healthcare provided for all patients. "Over the past several years, members of the Navy Medicine team have worked tirelessly to ensure MHS GENESIS was ready for go-live at our Navy facilities in the Pacific Northwest," said Vice Adm. Forrest Faison, Navy surgeon general and chief, Bureau of Medicine and Surgery. "This is a critical moment in military medicine that will help ensure we continue providing the best health care possible to our Sailors, Marines and their families - we owe them nothing less. I'm incredibly proud of the hard work and dedication of those involved across the enterprise." Initial deployment of MHS GENESIS took place at Fairchild Air Force Base by the U.S. Air Force 92nd Medical Group in February, followed by Naval Hospital Oak Harbor in July. "We have been preparing for this moment for nearly two years. The NHB staff has poured heart and soul into preparing for this day. Their efforts will have a profound impact on the rollout of the new electronic health record across the MHS," said Capt. Jeffrey Bitterman, NHB commanding officer. MHS GENESIS will provide a single integrated electronic health record for service members, veterans and their families that will integrate inpatient and outpatient medical and dental information across the continuum of care, from point of injury - whether ship, shore, submarine, squadron - to the military hospital or clinic. One of the key features and benefits for patients is the MHS GENESIS Patient Portal, a one-stop shop for viewing personal healthcare and history; two-way communication between patient and provider; a secure website for around-the-clock access to individual and family health information, including visit notes, test results, x-rays, and medications, along with online prescription renewal. Prior to MHS GENESIS deployment, several informational town hall sessions were held for beneficiaries to explain and answer questions regarding the new system, specifically concerning the new patient portal. "We received a lot of good questions at the recent town halls. Our patients were interested, engaged and wanted to know exactly what was going on," said Cmdr. Christopher Tatro, DoD Healthcare Management System Modernization (DHMSM) Program Management Office Initial Operational Capability (IOC) Site Implementation Team. Tatro explained there are three different ways to access the new patient portal. Beneficiaries can visit the official site at https://patientportal.mhsgenesis.health.mil and once there use one of the three options to logon: Department of Defense Self-Service Logon; Common Access Card; or Defense Finance and Accounting Service login. Patients who transfer out of the area to another military hospital or clinic not using MHS GENESIS will resume using Secure Messaging - previously called RelayHealth - and TRICARE Online. Along with providing beneficiaries a modern, secure and connected EHR, MHS GENESIS will also streamline the workday for doctors, nurses and hospital corpsmen in caring for their patients by eliminating double order entry and double documentation. "There has been a lot of hard work and effort to make this happen," said Capt. David Hardy, Navy Medicine MHS GENESIS Implementation Detachment Pacific Northwest team leader, addressing the MHS GENESIS support team. The sites in the Pacific Northwest deploying MHS GENESIS in 2017 are the vanguard before full deployment across the DoD world-wide spectrum is completed in 2022 to serve more than nine million beneficiaries. For more news from Naval Hospital Bremerton, visit www.navy.mil/local/nhb/. MHS GENESIS, the new electronic health record for the Military Health System (MHS), provides enhanced, secure technology to manage your health information. MHS GENESIS integrates inpatient and outpatient solutions that will connect medical and dental information across the continuum of care, from point of injury to the military treatment facility. This includes garrison, operational, and en route care, increasing efficiencies for beneficiaries and healthcare professionals. The MHS GENESIS Patient Portal is a secure website for 24/7 access to your health information, including managing appointments and exchanging messages with your care team. Along with the new electronic health record, the MHS GENESIS Patient Portal launched at Fairchild Air Force Base (AFB) in February 2017 and will continue deploying to initial fielding sites throughout the Pacific Northwest, including Naval Hospital Oak Harbor, Naval Hospital Bremerton, and Madigan Army Medical Center. Beneficiaries can log in using their DS Logon. Premium Access (Level 2) is required to view the health record. There is no additional fee for Premium Access. Contact the Defense Manpower Data Center at 1-800-538-9552. Note: When using a non-Department of Defense (DoD) computer, you may receive an error message. Click “Proceed” or “Continue” to access the MHS GENESIS Patient Portal. Although you receive the error message, your MHS GENESIS Patient Portal is secure. For more information about MHS GENESIS, products and resources are available for download below. MHS GENESIS Fact Sheet This fact sheet describes the DoD’s electronic health record, MHS GENESIS. MHS GENESIS Brochure This brochure includes high-level information about MHS GENESIS capabilities, the patient portal, and key benefits. MHS GENESIS Postcard This postcard is for MHS GENESIS locations to provide to beneficiaries as introductory information. MHS GENESIS Poster This is the poster for MHS GENESIS, the new electronic health record. MHS GENESIS Patient Portal Brochure This brochure provides details about the MHS GENESIS patient portal and its key benefits. MHS GENESIS Patient Portal Poster This is the poster for the MHS GENESIS Patient Portal. MHS GENESIS Patient Portal Fact Sheet This fact sheet describes the MHS GENESIS Patient Portal. Posted: Sun 29 Apr - 05:21 (2018) Post subject: PRESIDENTIAL ADVISER JARED KUSHNER SAID THE ADMINISTRATION HAS A PLAN TO PRIORITIZE ACCESS TO AND INTEROPERABILITY OF PATIENT HEALTH DATA. Destroying the old system to bring the Roman Military Health Care. They're doing it in all countries. Sen. Bret Allain, R-Franklin, Chairman Eric LaFleur, D-Ville Platte, and Sen. Ronnie Johns, R-Lake Charles, hear testimony Monday in the Senate Finance Committee. Medicaid is a federal-state collaboration covering more than 70 million people, or about 1 in 5 Americans, making it the largest government health insurance program. President Obama expanded the program by allowing states to cover millions more low-income adults. Rolling back the expansion has been a longtime goal of the GOP. The Trump administration has encouraged states to reshape their Medicaid programs, paving the way for states like Kentucky and Michigan to include new measures like work requirements for able-bodied adults. 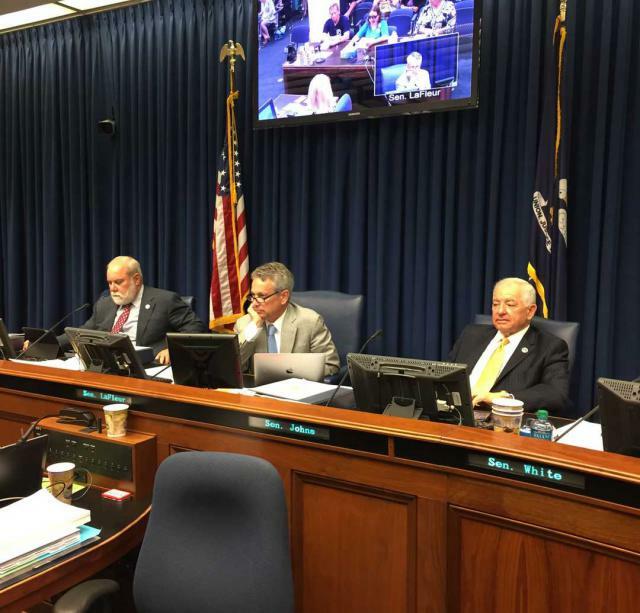 In Louisiana, the issue was front and center in the state Senate Finance, which was hearing public testimony on the budget sent to it by the House for most of the eight hours the panel met. Posted: Wed 23 May - 23:53 (2018) Post subject: AMERICAN MEDICAL ASSOCIATION TELLS HOSPITALS TO GO VEGAN! AMERICAN MEDICAL ASSOCIATION TELLS HOSPITALS TO GO VEGAN! Signed by Defense Secretary James N. Mattis and VA Secretary Robert Wilkie, the joint statement reinforces both departments’ commitment to ensuring the successful transition from a legacy patient-data system to a modernized one that will continue to support active-duty service members, Veterans and their families. VA signed a contract with Cerner Corp. May 17 to replace VA’s 40-year-old legacy Veterans Integrated System Technology Architecture (VistA) health care records technology over the next 10 years with the new Cerner system, which is in the pilot phase at DOD. Collaborating with DOD will ensure that VA: understands the challenges encountered as DOD deploys its EHR system called Military Health System Genesis (MHS GENESIS); adapts an approach by applying lessons learned to anticipate and mitigate known issues; assesses prospective efficiencies to help deploy faster; and delivers an EHR that is fully interoperable. "We are committed to partnering with the VA to support the lifetime care of our Service members, Veterans and their families," Mattis said. "This modern electronic health record will ensure those who serve our nation have quality health care as they transition from Service member to Veteran."